Kuopio is a city and a municipality located in the region of Northern Savonia, Finland. On the 20th (Thu), enjoy breathtaking views from Puijo Tower, see the interesting displays at RIISA - Orthodox Church Museum of Finland, get a sense of history and politics at Kuopio Market City Hall, then test your team's savvy at popular escape rooms, and finally pause for some serene contemplation at Lutheran Cathedral. For traveler tips, more things to do, ratings, and more tourist information, refer to the Kuopio trip planner. Use the Route module to find travel options from your starting location to Kuopio. In December, plan for daily highs up to -3°C, and evening lows to -8°C. 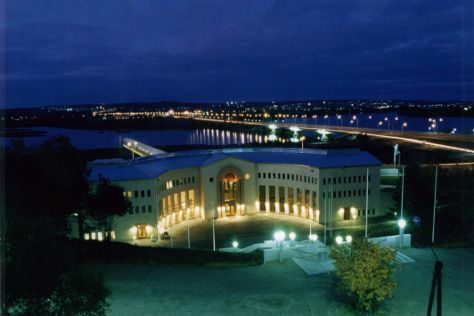 Finish your sightseeing early on the 20th (Thu) so you can travel to Rovaniemi. 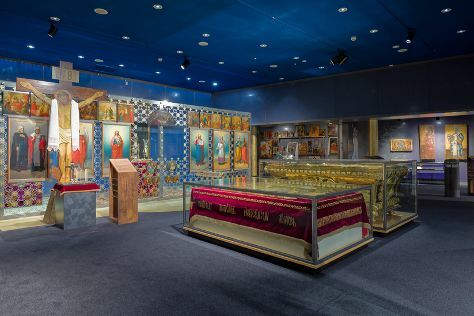 On the 21st (Fri), pause for some serene contemplation at Rovaniemi Church, then get engrossed in the history at Arktikum, then enjoy some diversion at Santa Claus Office, and finally get in on the family fun at Santa Claus Village. Get ready for a full day of sightseeing on the 22nd (Sat): look for gifts at Your Piece Of Finland, then engage your brain at Pilke Science Centre, and then get in on the family fun at SantaPark. To see other places to visit, ratings, more things to do, and other tourist information, read our Rovaniemi holiday app . Fly from Kuopio to Rovaniemi in 6.5 hours. Alternatively, you can take a train; or drive. Traveling from Kuopio in December, things will get little chillier in Rovaniemi: highs are around -6°C and lows about -13°C. Finish your sightseeing early on the 22nd (Sat) so you can travel back home.